I recently visited Blue Mountain for a Season Preview Night and was given the chance to try out their new zip line courses called Summit Aerial Park. If you like a challenge, I highly recommend getting out to Blue Mountain for a thrill of your life. This isn’t your typical zip course as you may imagine. There are three-course levels (beginner, intermediate, advanced) with exciting high rope obstacles and challenges. You’ll find yourself climbing ladders, hanging from suspended bridges, swinging from ropes, crawling through caged ropes, and ultimately ending with a zip line down to the ground level. 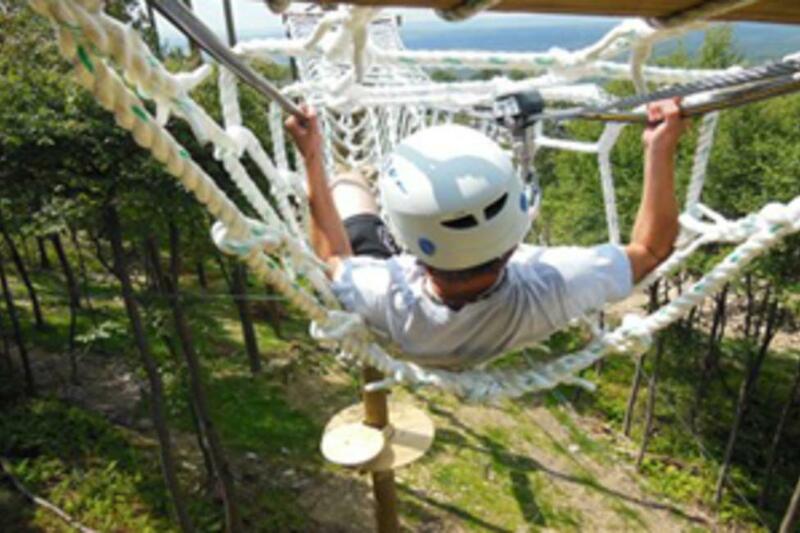 Don’t worry, you are completely secure above the trees as all participants are fitted with harnesses and helmets and given clear safety instructions. As far as dress code, dress comfortably in closed toe shoes (I recommend sneakers). While out on the course, make sure you stop from time to time to breathe the fresh nature air and check out the beautiful scenic views the rope course has to offer. So, get out there and try all three. I dare you! I have to say, it’s more of a mental challenge than a physical challenge. After you&apos;ve tested your heights and conquered all three zip line courses, you may find that you worked up a hunger. 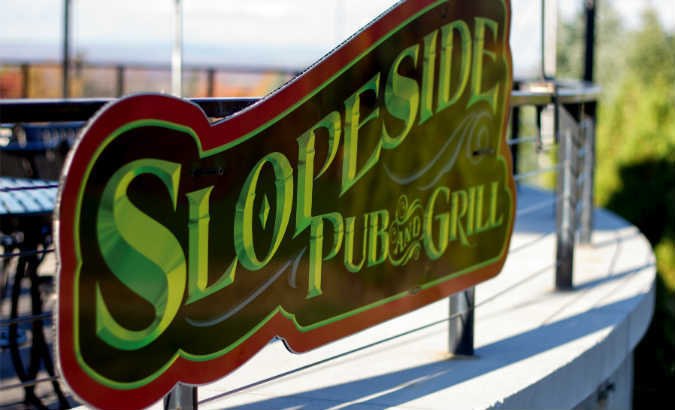 Another new addition at Blue Mountain is their Slopeside Pub and Grill which is open year round. From outdoor seating to indoor seating, every table has a window seat to view the beautiful Pocono Mountains. They’ve also added two new kitchens to make sure the food is fresh and homemade for the entire resort. I recommend trying their creamy shrimp and crab dip or one sampling one of their many buffalo wing sauces. There really is so much to do at Blue Mountain from outdoor laser tag, children’s adventure camps, mountain biking, snow tubing, snowboarding, and skiing. If you’re heading up to Blue Mountain this winter, keep an eye out for their newest trail called “Yeti”. I guarantee there’s something for everyone at Blue Mountain. Come check it out for yourself!